Synopsis: Becca knows from experience the damage that love can do. After all, it was so-called love that turned Huxley from her childhood best friend into a social-world dictator, and love that left Becca's older sister devastated at the altar. Instead of sitting on the sidelines, Becca strikes back—for just one hundred dollars via PayPal, she will trick and manipulate any couple's relationship into smithereens. And with relationship zombies overrunning her school and treating single girls as if they're second-class citizens, business is unfortunately booming. Even Becca's best friend, Val, has resorted to outright lies to snag a boyfriend. What I Thought: The Break-Up Artist is a story about love and heartbreak and how we can navigate these treacherous waters. Becca's sister Diane was heartbroken, left 6 hours before her wedding, and her best friend left her behind for her boyfriend and popularity - so Becca knows love is a terrible dangerous thing, and she wants nothing to do with it. So much so, that she starts her own little nifty business as The Break-Up artists, being paid to break up couples at school. Becca is good at what she does, and even gets asked to break up her schools hot couple. But of course not everything is as it seems and Becca has a lot to learn on a subject she clearly doesn't fully comprehend. 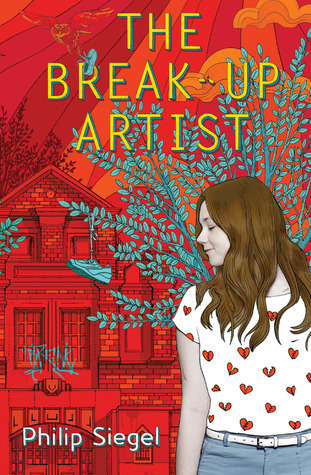 The Break-Up Artist has a good strong start and I desperately rushed through the story, wanting to know what would happen. And yet. About two-thirds of the way through, I hit a wall. I could see the characters were on the edge of being emotional, mental changes but I was at the point where I didn't even care any more. The story became a bit too predictable for my liking and I seriously struggled to even finish it. This is a fun light read, sure to give you some laughs - and a different view to love and relationships. The Good: Becca was so sneaky, and quite clever as the Break-Up Artist, and I couldn't help laugh at some of her ideas, they were so clever! The Bad: Became too predictable at the end.